Secret of the Stole I (Guinevere) is an original and unique pattern design by DK the Nautical Knitter. Originally an 8 week KAL for beginner to intermediate lace knitters. The pattern is a full 51-page pdf that includes all directions, photos of the stole, full set of charts and written instructions for immediate download. Secret of the Stole II (Savannah) a very unique KAL that ended in March 2008. There are two completely different versions of this pattern. The complete pattern includes all the directions and completed charts in one PDF file. To join the Yahoo KAL Group, click additional info below. Secret of the Stole II (Charleston) a very unique KAL that ended in March 2008. There are two completely different versions of this pattern. The complete pattern includes all the directions and completed charts in one PDF file. Secret of the Stole III (Estes Park) is an original and unique pattern design by DK the Nautical Knitter. 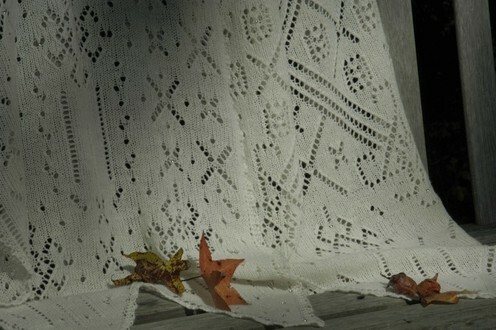 This stole design was released originally in a 9 week KAL for beginner to intermediate lace knitters. The pattern is a single, complete pdf that includes all directions, photos of the stole, full set of charts and instructions.